Houghton Country is a specialist equestrian and country store stocking everything for the country life. Delivery is fast and free on orders over £50. Catering for horse owners, riders and country walkers alike, our product range is extensive, with thousands of products in our catalogue. Products range from saddles, riding hats and horse rugs to riding boots, wellies and wax jackets. 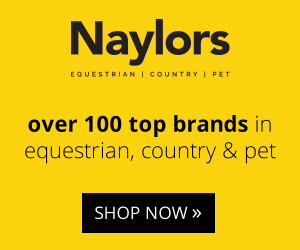 Naylors offers brands such as Barbour, Joules, Hunter and Ariat coupled with our excellent customer service. All products offered are in stock and despatch the same working day. The Zooplus pet shop offers a wide range of products for dogs, cats, small animals, birds and fish. You'll find excellent quality and premium brands at a great value. With regular sales and special offers, you're sure to find the perfect pick for your pooch as well as your pocketbook. Shipping is free for orders over £39.